The main goal of camping is to enjoy the most relaxation and comfort. When going for camping, we all want to get all the things with compact size. We don’t wish to carry any bulky stuff during the camping adventure, as such, with the ever-growing demands, manufacturers have invented all kinds of products that is the best use for camping. Nonetheless, the chairs are built quite differently. Outdoor-friendly: By using materials that are resistant to the elements (rain, sun, wind…) the chair won’t be affected by strong sunshine, moisture, or rapture because of strong winds. The camping chair should be well-designed and provide comfortable feel as those we use indoors. 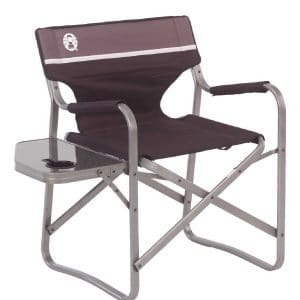 The below are the best camping chairs that will accompany your outdoor activities. 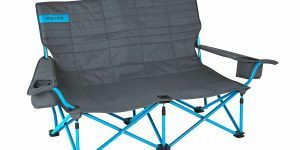 Camping chair by G4Free is light and portable and weighs around 1.9 pounds while its dimensions are 25.5 x 20 x 20 (H,W,D) inches. It’s made from high-grade 600D Oxford cloth and high-strength aluminum alloy that support up to 200 pounds. The fabric is not only strong and comfortable, but also elastic and resistant to water and stains. The portable chair opens and folds easily , comes with a pouch for storing tissues, water bottles, food, cell phones and other accessories. This is best used for backpacking, hiking, tailgating, sports event, concerts and more. Comfortably enjoy the outdoor scene without worrying about the blazing hot sun or light showers by acquiring the MAX shade camp chair by Quik Shade. The light steel foldable camp measures 22.8(L) x 22.8(W) x 51.6(H) inches and supports up to 225 pounds. Its features polyester fabric that is water and stain resistant and provides a comfortable feel. 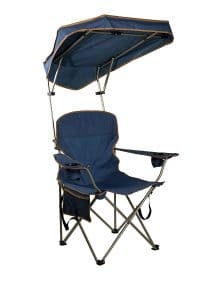 The portable chair also includes a shade canopy to prevent from sunrays or light water rain. 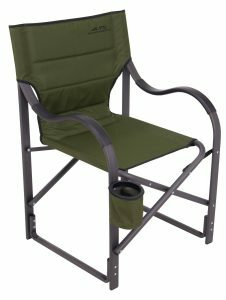 ALPS camping chair comes with easy-to-fold design, strong powder coated steel frame and heavy-duty 600D polyester. The 6-pound chair can support weights of up to 250 pounds while its dimensions of 20(W) by 14 (D) by 24 (H) can accommodate large users. An 8 x 28 inch shoulder carry bag with straps makes carrying and storage easier. 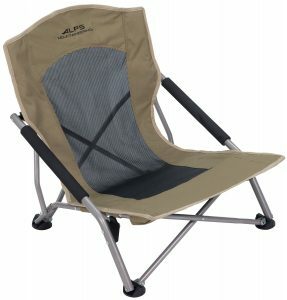 The legs of this ALPS Mountaineering camping chair are quite short compared to other camping chairs. Quality built, distinctive design and durability are some summaries descriptions of this ALPS mountaineering camp chair. With dimensions of 24 (W) x 22 (D) x 36 (H) inches and a weight of 10.5 pounds, the tall-back aluminum chair has a maximum capacity of 425 pounds and comes with a detachable frame that has been coated with Pro-Tec powder for extra flare and longevity. Furthermore, it’s much wider and more comfortable than other alternatives thanks to the thick padded curved armrests and cup holder. 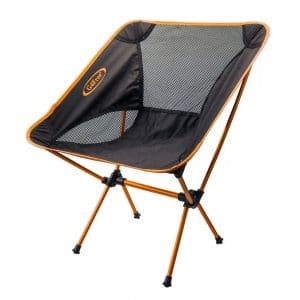 Enjoy a good camping experience by acquiring the foldable camping chair by Coleman. It measures 27 x 7.8 x 7.5 inches when assembled, weighs about 9 pounds and can support up to 300 pounds. The frame is made from light yet strong steel while the fabric is made out of heavy-duty polyester. The foldable chair comes with adjustable armrests, mesh cup holder, storage pocket for personal holders & magazines and a cooler that can hold up to 4 cans. 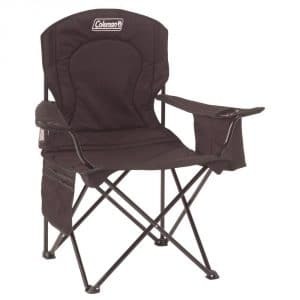 The Coleman aluminum chair is suitable for camping, fishing, deck and other outdoor situations. It consists of heavy-duty frames that support weights not exceeding 225 lbs and can easily be folded and unfolded. The padded armrests offer good comfort while the side table provides a suitable surface for placing tour drink. To make carrying easier, the chair also features carry handles. The picnic chair by KING DO Way comes in a light frame, comfortable design and is ideal for outdoor activities. The 1.7-pound item is made out of ultra-light aviation grade aluminum alloy as well as the breathable and waterproof Oxford fabric. It is resistant to oxidation, corrosion, and the elements and is rated at 220 pounds. Assembly is a bit difficult especially if you leave the slots too loose. 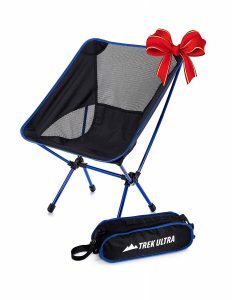 Great comfort and relaxation begin with acquiring the Tour One portable camp chair by TrekUltra. It’s constructed from heavy-duty metal that can resist regular use, rust and the elements while the breathable and soft mesh offers you good comfort. 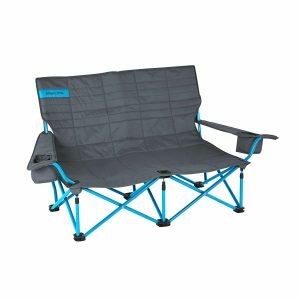 The lightweight (2.6 pounds) camping chair which can support up to 350-pound and with the special design that comes with a carry bag and removable strap for easy carrying storage. 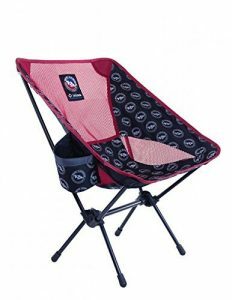 Besides camping, the chair is also suitable for backpacking, motorcycling, fishing, sporting and other outdoor activities. The Helinox camp chair by Big Agnes is targeted at individuals seeking maximum comfort while out camping, fishing, and backpacking or at the beach. Coming in premium anodized DAC aluminum frames and 600d polyester fabric, the chair can support people weighing as much as 320lb/ 145kg. Assembling this camping chair is very easy as it has the self-locating technology; however, it doesn’t come with arm rests. The camp chair by Kelty comes in form of adjustable multi-position recliner and can seat two people at the same time. 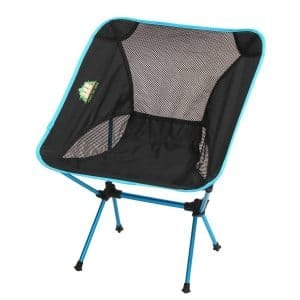 It’s made from sturdy aluminum and heavy-duty 600D polyester that supports weight of up to 400 pounds. The 15.5-pound seat measures 44(L) x 23.5(W) x 31.5(H) and features adjustable armrest, padded roll tote storage, insulated beverage holder and a carry bag. There you go, the 10 best camping chairs for this year. They all feature high-grade frames that can tolerate the rugged outdoors, come in foldable mechanism and have a heavy-duty fabric that is not only comfortable but also corrosion, water and stain resistant. After reading the summarized review and from your personal opinion, which one do you prefer? Let us know by comment below.